If you have not yet purchased a shower speaker to listen to your favorite podcast, then after reading this article you definitely should and will, we are so confident we can bet! Read on to discover how shower speakers work, things to look for when shopping, and our review of the TOP 10 Best Shower Speakers that will change the quality of your life! SoundBot SB510 HD Water Resistant BT Speaker – Not a Roomba! iLuv Aud Click Shower Speaker – WiFi-enabled smart speaker that’s actually smart! 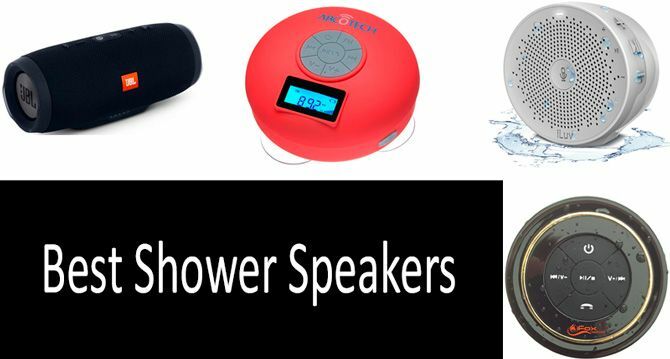 LCD Display/FM Radio/Subwoofer BT Shower Speaker with Timer. Let’s start by admitting something to ourselves, as citizens of the second decade of this, the 21st century. We’re surgically attached to the internet. Sometime around the invention of genuinely useful tablets and smartphones, without a bang nor whimper, the internet moved from a thing on our computer, to a whole new dimension of our society’s every waking moment. Ask yourself, do you remember even a fleeting moment when people thought taking your smart device to the toilet with you was weird? Sure, you don’t, because that didn’t happen. Still, while nobody batted an eye at our internet presence immediately expanding everywhere, there remained one frontier that the very nature of electricity seemed to keep out of reach. Showers and baths are not just necessary if you want people to stand within 20 feet of you, they’re also one of those simple pleasures in life. But, they interfere with listening to our Spotify playlist, our YouTube podcasts, and the like. We can’t safely drag our smartphone into the shower unless we’re absurdly wealthy and don’t mind buying a new phone every few days. Sure, we can crank up the volume and leave it on the sink. But, even iPhone owners (an audience who thinks their phones can do no wrong) have to admit, built-in phone speakers are terrible. Even a speaker plugged into it, on the sink, has to be annoyingly loud to hear in the shower. Well, Bluetooth speakers, which were just a novelty when they first appeared, have teased a solution to this problem. They work wonderfully across the board if you have a window sill in the shower or bath to set them safely on, as steam and the occasional little stray drop of water doesn’t bother any of them particularly. But, if you don’t have a guaranteed-dry area inside the shower, you need something waterproof. Do waterproof speakers like this exist? Yes, yes, they do! So, we often make the mistake of just looking at “waterproof” and assuming that means we can take an item scuba diving with us, and it will suffer no damage. Understandably, people not working within industries that deal with waterproofing, don’t entirely understand the subtle spectrum there is to the concept. For starters, there can never be an app for your phone that makes it waterproof. You know who you are. There exist nine levels of waterproof-ness, called IPX ratings, going from 0-8. We’re going to summarize them briefly here. IPX-0: This isn’t waterproof at all. IPX-1: If something drips onto the top from above, it can withstand this for 10 minutes or so. IPX-2: Similar to IPX-1, but with an additional 15-degree rotation of protection. IPX-3: This means it’ll hold up to sprays from any direction for 5 minutes at a time. We’re getting into shower-safe territory now, but not quite there yet. IPX-4: This withstands not just sprays but splashes for 5 minutes. Closer! IPX-5: This means you can hold up against 12.5 liters of spray per minute for 3 minutes or so. Close but no cigar. IPX-6: Protection from 100 liters per minute for at least 3 minutes. So close now. IPX-7: Here’s the big leap. This means it can be submerged into a meter or less of water for up to half an hour. This is definitely shower proof! IPX-8: This one’s manufacturer-specified, but it exceeds IPX-7 in some way. So, what do we take away from this little exploration of IPX ratings? Chances are, anything rated 6 or above will survive your shower unless you’re holding it directly in the stream for extended periods of time. Wisely-placed things of 4 or higher are actually probably okay really. Before you go running off to your nearest electronics store, big-box retail chain, or eBay/Amazon to order a “waterproof” Bluetooth speaker, let’s take a look at qualities you’re going to want. Because there are good speakers, and there are flat-out lousy ones. I have a story to tell about what happens with lousy ones in a moment. The most important thing isn’t audio quality. Now, before any audiophiles in this begin to fervently type rebuttals, hear me out. Bluetooth is a very power-intensive wireless protocol. It uses ultra-high frequencies for speed, range control and to prevent multiple devices from interfering with each other. Remember from your high school science classes that higher frequencies are higher-energy, meaning that Bluetooth will devour batteries like a cop in a donut factory. Battery life, as it turns out, becomes a top priority due to this. Audio quality does, though, take a very close second. If you are indeed a stickler for audio fidelity, you’ll want component speakers with dedicated bass versus treble, and you’ll want to look for stereo versus mono. A large percentage of wireless speakers are mono for portability’s sake. You’d be surprised how good these mono speakers can sound, though. Form factor and size/weight matter, depending on how you’re going to place it in the shower. I personally like a lanyard hoop that lets me hang it from the base of the shower head. This also lowers the IPX requirement for my speaker down to about a 3. In a moment, we’re going to go through a list of some pretty nice speakers, with a good bit of variety. I am confident that you’ll find one of them perfect for your needs. But before we do that, let me share with you the epic Greek tragedy that is my history with wireless speakers before 2015. The first one I had was a hulking, ugly plastic affair that resembled those waterproof radios that were all the rage in the 90s. It mounted to my shower tile via suction cups, had a tinny mono speaker, and worked on the first version of Bluetooth. It did have a rechargeable battery via microUSB, which the generation before it didn’t, at least. A week after I bought it, the microUSB port caved in. My next one was one of those accordion-looking cannister speakers you see commonly now. It even lit up and claimed to be ideal for the shower. But, it didn’t mount to anything and had to sit on the little rag and soap rack in the corner. The speaker grill was on top, and within three days of use, the speaker became wet and no longer produced sound. That’s IPX-3 waterproofing for you. Since that one, I’ve had three basic “hanging” speakers, two of which had all manner of difficulties connecting to any device because they didn’t comply with strict Bluetooth standards, often disconnecting of their own accord. These came from a certain big-box retail chain in the United States that starts with a W. Don’t buy speakers from there. My current one is a little vaguely egg-shaped black speaker with a hoop to hang, it has an IPX rating of 5, excellent battery life, and even a neat little voice that tells me “Connecting” or “Battery Low”. I bought it from Amazon. I recommend going there, the specs are far more honest. Next, we’ll cover the best shower speakers that you can possibly find online, both affordable and high-end. If you are looking for good sound quality and good bass, don’t worry, you won’t be disappointed. If you want speakers for Alexa or with a screen, we’ve got them covered too! This saucer-shaped Bluetooth shower speaker with a mic is surprisingly rugged, with an IPX-5 waterproof rating. It has a powerful 5W driver, making it very easy to hear even in the noisier shower. It offers two ways to mount it, as well as a built-in microphone and hands-free operation. With a 6-hour battery life, this is about the highest quality you can probably find for this price. Mounting Options: Suction Cup, Karabiner. This speaker sounds surprisingly good for the price, and the battery life is quite good. However, the suction cup is a bit subpar in quality, not sticking to shower tile or textured privacy glass as well as it could. The casing, while durable, feels and looks a little cheap, with that early 2000s “rugged military gear of the future” aesthetic that’s rather passé now. The karabiner option is really intended for on the go, but if you get this speaker, attach some nylon twine to that, and hang it from your showerhead. You’ll get more out of that than the suction cup on this unit. Suction cup isn’t very good. No lanyard included to use the karabiner. Bluetooth range isn’t the best. Suction cup quality and ugly case aside, if you don’t want to spend a fortune on an IPX-5 or higher shower speaker, you’ll probably be satisfied with this unit. It doesn’t sound bad, it’s very affordable, and it has a decent battery life. Just, make sure your smartphone or other source is within 15 feet, it gets spotty at a greater distance. This shower speaker with charger looks a lot like the stand-alone assistant devices we see people have in their houses these days (Alexa, Google Assistant). While the colors are a bit garish, and the controls are very basic, the rubberized design means you can set this thing anywhere in the shower and it’ll probably be fine. IPX Waterproof Rating: Unspecified, presumed to be 5 or 6. This is a rugged approach to portable Bluetooth speaker design, with resistance to water and other wet environments being a big focus. This is a loud speaker with 360-degree stereophonic sound with deep bass you’ll feel in your chest when you turn this thing up. With a 100ft range, you can feel confident connecting this to your Alexa or Google Assistant screenless device even if it’s across the house in most cases. The problem is that its only mounting option is a karabiner, with no lanyard included to hang it from a showerhead or curtain rod. Why do these speaker manufacturers keep omitting a couple-sent piece of nylon of all things? Great Bluetooth range for Alexa or Google Assistant. This one isn’t cheap, but if you want fantastic, panoramic sound with some rugged, durable longevity that can handle even falling into the tub on occasion, then you might want to give this one a good look. It’s an excellent speaker, and I frankly want one, though I don’t like the big membrane buttons for volume control. This tiny speaker is packing more than meets the eye. With its compact size and insulation, this unit should survive just about any kind of shower, tub or the like, even resisting brief submersion should it fall into the water. Don’t do that on purpose, though! This tiny speaker is actually quite nice for the price. Though, the built-in microphone isn’t as great as it could be, especially if you’re trying to pass on voice commands. It lacks any real noise filtering, which is a must when in the shower. The karabiner mounting isn’t fantastic either, and once more, omits the necessary lanyard to hang it comfortably in the shower. This seems to be a trend, and I don’t understand why. My speaker is a lot like this one, and it has a nylon rope to hang from. Average at best battery time. This compact affordable speaker is a lot like the one I currently use. Mine doesn’t have quite the same aesthetic or form factor, but a lot of the same mindset and technology went into them both. That said, I’m comfortable saying this is my favorite one on the list as practicality goes, and something I feel confident in recommending. This puck-shaped speaker reminds me, more than anything else, of the “futuristic device” aesthetic of early 2000s science fiction movies. Featuring advanced volume control and phone control, it’s very waterproof and small. This is a nice little speaker, and the advanced phone, playlist and volume controls are clicky and comfortable. The built-in microphone is average at best, but good enough for phone or voice commands, so it gets the job done. It’s a little heavy, which makes the single suction cup a bit … unnerving, though. The problem with single giant suction cups is finding an even surface for them, which isn’t always an option in showers with deeply-grouted tiles. This is a slight upgrade to the previous one, though I don’t like the way these singular suction cups work. I’d recommend setting this one on a shelf in the shower since its IPX rating can withstand just about all the water exposure a shower is likely to cause. If you want something compact but a bit better in the mic department than the previous one, this might be worth a look. This little cube isn’t much to look at, having that same rubberized “military” sense about it that some others have. However, with the built-in mic, volume control, and IPX 5 rating, this is a very appropriate speaker for showers, baths, and even saunas. A big perk is the strap – something all these speakers should have. This speaker is very nice, durable and water-resistant. The nice thing about it is that it sits nicely on a shelf, and its IPX rating means that this can be a very wet shelf with no problems whatsoever. The strap makes it also easy to hang it over the base of the shower head, which is what I do with mine. This is a feature sorely missing in so many speakers, it’s refreshing to finally see one. The mic isn’t very good, though, and the aesthetic is tacky, to say the least. This one is worth a look solely because of the hanging strap, which is something a lot of these speakers mysteriously lack. I am comfortable recommending this one in spite of the ugly look of it. This thing looks bizarre, feeling like it belongs in an episode of the Jetsons or the like, than anything else. Orb-shaped, with a molded-on rubber loop, it’s designed to hang from a shower head or a bike handle primarily. This thing looks goofy, trying to be modern, and failing at the intended result. But, if you can get past the look of it, this thing is nice in that it hangs comfortably from the shower head or the faucet, and can withstand the water exposure such placement causes. I can’t see using it on a bike, as it’ll jiggle around like crazy, but as a bathroom speaker, it definitely works. The microphone is awful on it though, so don’t expect the voice commands or phone usage features to be anything near exemplary with this unit. FM radio is an interesting feature not many speakers have. Though honestly, do you listen to the radio these days? If you want a dedicated speaker for just your shower, this might be worth a look. It feels like it belongs there aesthetically, but I’m not super comfortable recommending such a weird form factor or a speaker with such an awful microphone. This waterproof BT shower speaker looks like a Roomba, but it’s not. It won’t clean your house for you, it won’t antagonize your cat. What it will do is prove that not every single suction cup mounting approach is bad, and it’ll prove that an affordable compact speaker can indeed have a solid built-in microphone and intuitive controls. Form Factor: Flat saucer/squat cannister. This one isn’t half bad. We’ve been a little judgmental of single suction cup approaches to mounting, due to how hard it is to find surfaces in some showers that work for these. But this is a lightweight enough speaker, and compact enough, that even deep tile grout shouldn’t pose a problem. It also has a good microphone. The stereo sound is under-performant in way of differential, but not enough to ruin the experience. The only major defect in this design is the limited wireless range of 33ft which is pretty pathetic, so you probably won’t be linking this up to Alexa or Google Assistant. The microphone is especially good for iPhone use reportedly. Sound quality is very average. If you want a small, “quick” way to solve your shower sound problem, and just want to link it up to the phone on the counter, this might be a nice choice. It’s pretty affordable, it blends in nicely, and it charges quickly. This speaker is in a league of its own, being designed for some independent functionality over WiFi if you don’t want to pair it with a device. However, this functionality is limited, and the intelligence of this unit is best served for smart interfacing with a lot of modern standard apps and devices. This device can automatically control and work with multiple popular multimedia apps such as Spotify, Pandora, and IHeartRadio, as well as directly engage Alexa, Google Assistant, and Siri for iPhone. This is like a peripheral for your phone or other devices, rather than just a speaker. It does everything but displays your data. It works remarkably well, though it’s a bit heavy, making the suction cup precarious. Direct app and device interface ability. Can be a bit complicated. Bluetooth range is acceptable but not brilliant. This one was built with complex phone, web and device usage in mind, and it shows. It’s a little overwrought, but if you want full control over everything with a simple press of a button, this is probably the speaker for you. I’d probably enjoy this one if it had a “skip ad” button for the YouTube app. I hate commercials. This is the quintessential puck/saucer styled speaker, with some added niceties, including superior suction cups, and some additional features. The LCD screen could have been a full display to mirror a device, but a simple time/playback and battery readout is better than nothing, right? Mounting Options: 3 suction cups. Stereo/Mono: Stereo with subwoofer effect. This one sounds really good, and the multiple suction cups provide a far better grip in most showers. As I said, I think if they were going to bother with a display, a real display with useful multimedia functions would’ve been better, even if it raised the price by half again as much. Where it stands, that screen isn’t that useful, but the built-in FM radio is, again, a fairly rare feature. Frankly, though, radio is a dying medium just like cable television. But this is the only shower speaker with timer functionality on this list, and if you’re like me, you need a timer to stop you from taking way longer showers than you should. Screen doesn’t do much, really. FM Radio, which is a big selling point in its listing, isn’t a technology most people really use anymore. If you want a timer and a bit of a readout, this one will fill the niche splendidly. I like the suction cups it employs, the timer is a nice feature, and the subwoofer effect is a good idea. But, again, if we’re going to bother placing a display on a speaker, I think a bit more of a useful screen would be a good idea. So, while I think this is a solid “basic speaker” recommendation, I feel like the screen is more of a gimmick than a serious feature in this case. Still, a solid speaker I’d recommend. This barrel-shaped Bluetooth shower speaker with mic has to work less hard to make a name for itself, as JBL has built something of a reputation for solid sound with these sorts of external speakers. This is a pricier shower speaker with charger, but not prohibitively so. As we’ll see in the performance section, though, it has its drawbacks. This one has the advantage of excellent bass with control over levels beyond just volume. It’s an attractive, sturdy device with a more modern look, and the stereo sound feels rich and expensive. It rates an IPX-5 but it could probably rate a 6 if the speaker grill were a bit more insulated. However, the only mounting available is the karabiner, so if you want a suction cup mount, you’ll have to get a 3rd party mount that fits this speaker. It also has the advantage of being designed with Google Assistant in mind, for even more hands-free control of your device. Made with Google Assistant in mind. If you’re a bit more serious about your speaker and want something that works just as well (and attractively) outside your shower, this JBL speaker is a good candidate. It just needs more mounting options pre-packaged. Q: What if my phone does not have Bluetooth? A: Your phone has Bluetooth. But, if by some odd circumstance it doesn’t, only the iLuv is going to give you much in the way of a solution. Q: How to pair Bluetooth with shower speaker? A: There is a connect button on the speaker. Your phone has a similar button under settings (depending on phone type – I won’t lie and say I know how to use an iPhone very extensively). Selecting pair from the phone will seal the connection. Q: How to connect shower speaker to phone? A: The way described above, via Bluetooth. Q: How to charge a shower speaker? A: Plug the charger cable in. It’ll be either microUSB or a 3.5mm jack. Q: How to use shower speaker? A: In most cases, after connecting, just press play on the app of your choice on the phone or another device. Q: How to turn on shower speaker? A: There will be a power button, you hold it until it chimes, lights up or otherwise indicates it’s active. Turning it off works the same. Q: Does it play/work under the water? A: If it has an IPX-7 rating, it will play and work underwater. But, you won’t hear it unless you put your head under the water and hold your breath, and it will be distorted. Are dolphins shopping for these? A: Yes, but the charge time will be extended. Don’t charge it in the shower. 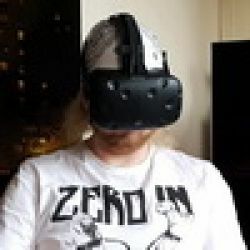 Q: Can you connect more than one device? Q: Does this work with Siri? A: The short answer is generally, yes. Q: What is the range of these speakers? A: Bluetooth can have a range of up to 100ft, though this is rare. It’s usually between 20-35 feet. Q: Can you connect a couple of speakers to one phone? A: No phone I’ve ever seen has worked when I’ve tried this. Phones are bad at managing multiple peripherals. Q: Will these pair with a TV? A: If the TV has Bluetooth, and the range is suitable, it will connect. It’s a bit of a gamble on how well it’ll work, but it will pair. If you have a decent enough mic in your speaker, and your phone is relatively modern, you can actually use it to write down those random, brilliant ideas you have in the shower. Yeah, we all have them, and surprisingly, sometimes they’re good ideas. If you like to sing in the shower, having a karaoke playlist can enhance the experience. You won’t see the lyrical prompts of course but, it’s a start. Try listening to audiobooks with one of these, instead of just music. If your mic is good, and your phone has solid TTS (text to speech) and good speech recognition, you can manage your emails or do chats with people. Don’t voice chat in the shower, that’s weird. There are lots of options for listening to our favorite stuff in the shower these days, as you can plainly see. I for one welcome the ability to listen to my SciFi audio books and YouTube creepypastas in the shower without my speaker shorting out. The problem is, a lot of these have questionable mounting practices, and I frankly don’t get why FM radio is made out to be such a big deal by manufacturers – nobody I know, and this includes several elderly people, listens to the radio anymore. Any one of these is a solid choice if you just want to listen to stuff in the shower, but if you’re pairing with Alexa or Google Assistant, you better focus on higher BT range! Great selection! I agree with you, the SoundBot is really one of the best shower speaker on the market, with an incredible sound quality and great waterproof capabilities. Great too to have added some useful advice on how to pick the best speaker. Great job! For a lover, especially for those who are used to quality audio system. What do you mean, why?) Who haven't sang in a shower, and not to traumatise the brain of neighbours, here you have «shower speaker», which is also waterproof, and often shockproof. Why generally do you need waterproof shower speaker? What kind of a music lover should you be, to not separate with music even in shower. Not the first time I see it and never keep being surprised.